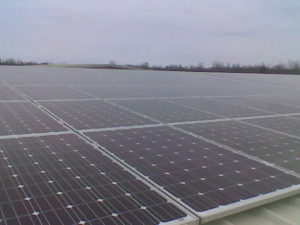 At the end of 2012 we completed a 50KW solar installation for Island Excavating in Grand Isle. The largest excavating business in the Champlain Islands, Island Excavating is now able to secure their energy costs for running their office and shop at a much lower rate than they were paying to the utility before. The system used otherwise unused roof space on the company storage barn. One of the keys to making this project work well were the tax credits and depreciation benefits available to most businesses who are profitable. Know anyone else who could take advantage of this?